Legalized marijuana has brought a lot of changes to the twenty-two states have offer it. From increased tax revenues, to less drug crime, to more creative pot products, the changes are endless. Other issues were not great, such as the lack of trained employees and lack of marijuana payment solutions. However, while these changes were (mostly) foreseen, the rise of grassroots unions was not. As great as unions are for organizing fair working environments and wages, there are issues that are bound to arise when it comes to talks of unionization of marijuana workers. 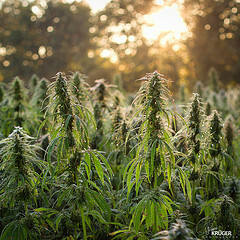 The United Food and Commercial Workers (UFCW) has committed substantial resources to organizing cannabis employees, but issues arise because the federal government still considered marijuana, in any form, an illegal substance. This is further complicated by the fact that federal law usually trumps state and local law in courts. The National Labor Relations Act of 1935 (NLRA), according to federal law, can override any state laws that conflict with its provisions. As of the writing of this article the NLRB has not challenged these grassroots unions, but legislative pressure could change that. There are multiple ways that these unions could organize their workers without federal input. For instance, they could organize as public-sector employees with their collective bargaining rights controlled by the state. This makes more sense than a federal union approach, since less than half of the fifty states have legalized it in some form. While employment is typically the easy part, the impeding unionization of growers, harvesters, processors, and distributors can lead to big problems if you are not familiar with the unionization. Merchants should research before setting out to open a marijuana shop. Even those wishing to operate medicinal marijuana dispensaries need to know these issues, because their employees will also be affected. Unionization is great, but sometimes workers are not willing to work under what they may perceive as “strict” conditions. Regulation of this industry is something that keeps marijuana payment solution companies and lenders from helping out their neighborhood merchants, and unionization can help lend a hand to showing it is a legit and profitable industry. This entry was posted in Marijuana Industry, Marijuana Merchant Account and tagged Grassroots Unions, Legalized Marijuana, Marijuana Payment Solutions by admin. Bookmark the permalink.